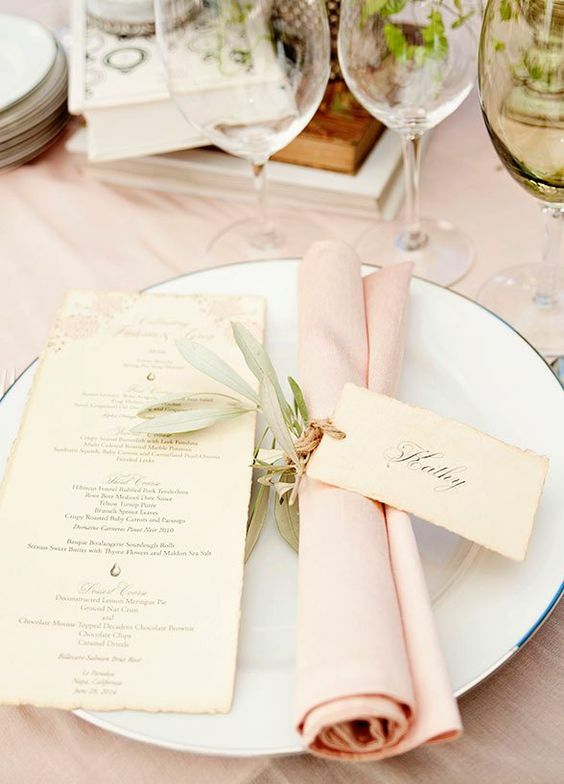 I love pretty napkins and in my opinion, a table isn’t complete without one. There are endless ways to folding the perfect napkin for the table, from intricate designs to casual folds. 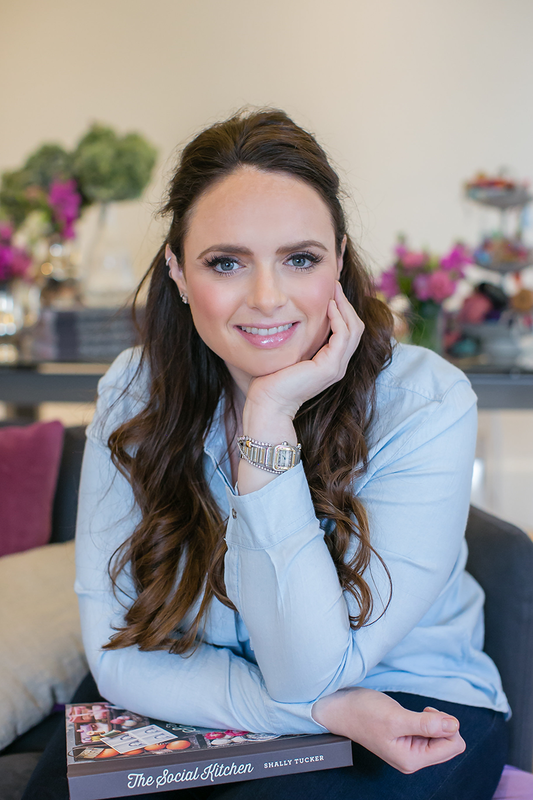 Here are a few of my favourites which you can easily recreate at home. The French Pleat is designed to hold three pieces of cutlery or cutlery for three courses. This one looks complicated to create but like most things, once you’ve followed a tutorial a few times it becomes second nature. Natalia / Natalia has put together a simple how-to guide with images to follow to recreate this practical napkin fold. 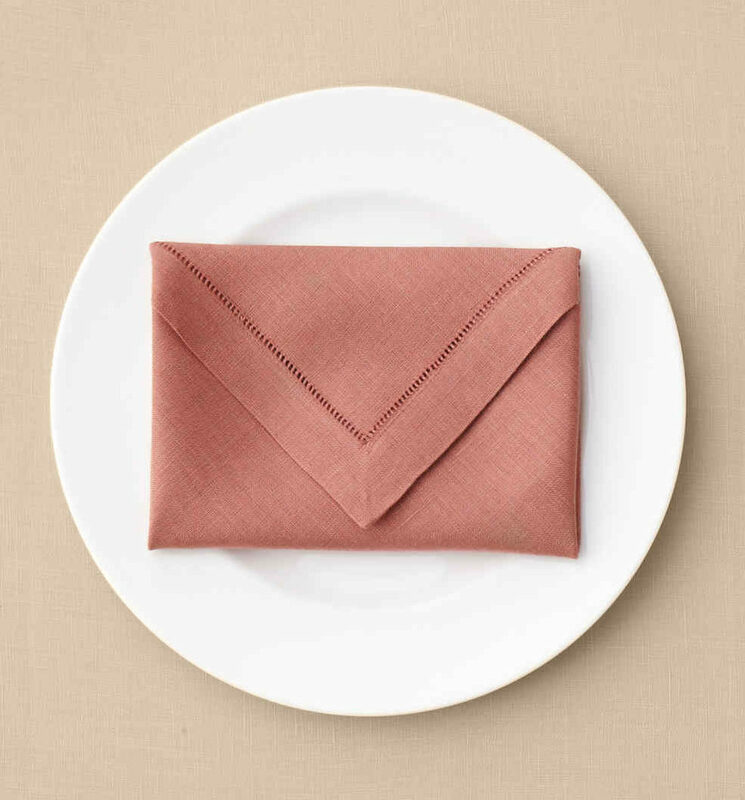 The envelope fold is the perfect way to conceal a menu or a special note to your guests. 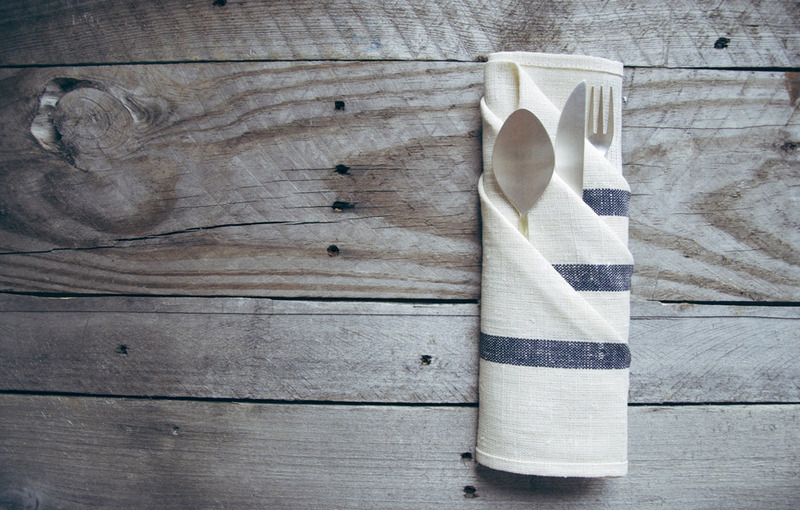 You can create this napkin fold in just 6 steps. Martha Stewart has created a simple step by step image tutorial for how to create your own. You’ll be so proud after you’ve finished your first one! 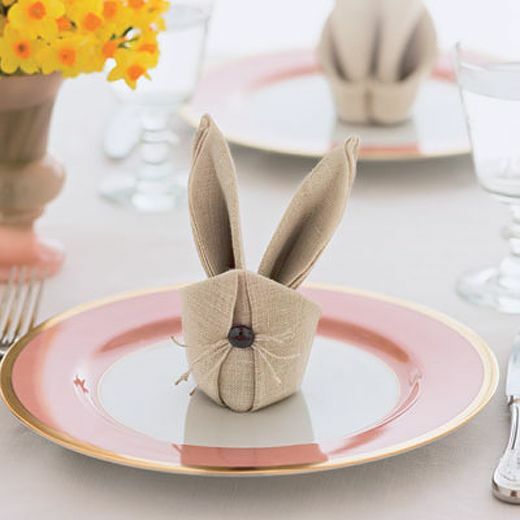 The cutest of them all, the bunny rabbit napkin. Perfect for easter and looks so sweet on the lunch table. You’ll really impress your guests when you tell them you hand made all the bunny napkins. These might look really difficult to make but they don’t have to be with a really helpful guide on hand. Decorbox has done all the hard work for you with their detailed tutorial here. Autumn always makes me nostalgic for being at home with family, as a child. I grew up in the 80’s and these bow-tied napkins struck a chord with me, because they couldn’t be more 80’s if they tried! 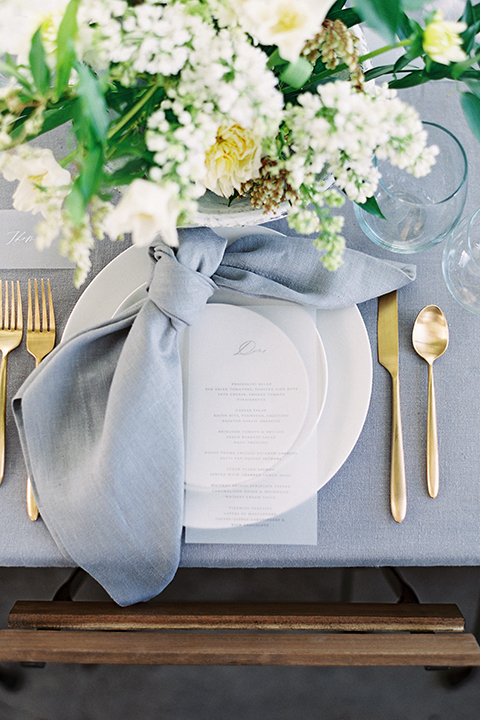 I don’t know what it is about a blue and gold theme, it just feels so chic. This tie-knot napkin also shouts relaxed chic and is so easy to re-create, its just the start of tying a shoelace. Try it yourselves for effortless decoration on your table. ‘Rolle like a scroll’, it’s a classic! 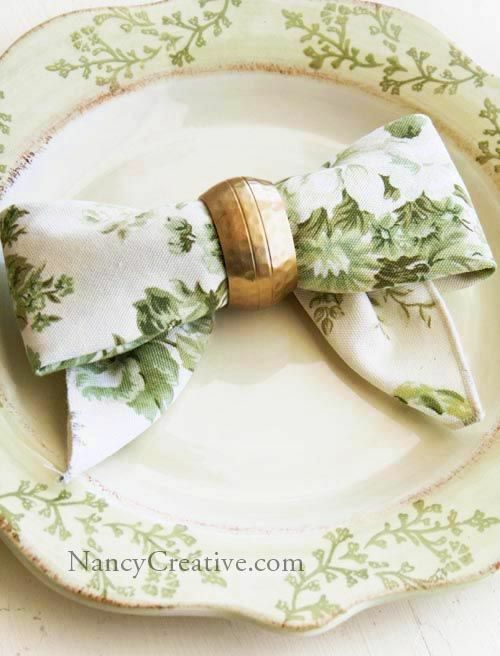 This napkin fold is elegant yet so simple to re-create. Secure the scroll with a piece of brown rope, fresh herbs such as rosemary and a name tag. 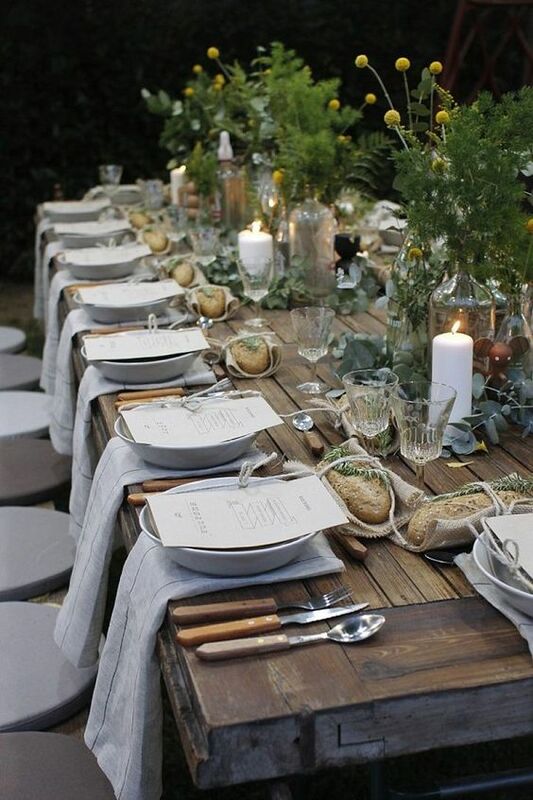 Place it next to, or on top of the menu – this would make a great wedding setting. The hang is my ‘go-to’ easy and effective napkin setting. Relaxed enough for an informal affair but smart enough to look like you’ve made an effort. So, here’s just a few of my favourite napkin folds and some guides on how to re-create them. I hope you have fun with creating your own and finding more ways to fold your napkins. If you’re looking for a table design to go with your new found napkin folding skills, take a look at my Extra Sweet Rosh Hashana table setting for some more inspiration.